First of all I don't understand how any representative of the people could pass a 1200+ page bill without reading it. Yet 219 in the house did exactly that. A bill that was put together 100% by one party, literally locking out the Republicans and slipping in and additional 300 pages at 3 a.m. A bill that would be the largest tax increase in American history. Not to mention it being , "the biggest job-killing bill that’s ever been on the floor of the House of Representatives." said House Minority Leader John Boehner. We are in a recession, this bill will devastate the American economy. It's all about money & power. We the people will be drained and controlled by these politicians. The biggest shock and greatest disappointment are the 8 RINOs who turned on the people they represent. 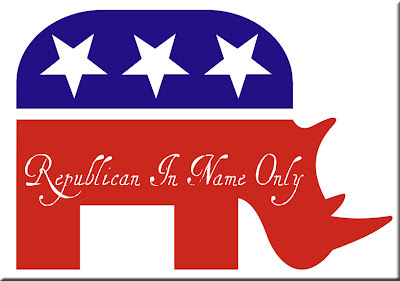 Forty-four Democrats voted against the bill, making the eight RINO votes all the more crucial. They had their chance in Congress and they failed us. We burned up the phone lines, overloaded the DC switchboard, clogged up their email and fax machines, and filled their voice mail to capacity with our “NO” votes, and they still ignored the overwhelming majority of the people they were elected to represent. First, tell them to CHANGE THEIR VOTE. They have five days from the vote of every bill to do so. Congress is out of session on vacation, so contact their local offices instead of their DC office. Cap and Trade Is a Massive Energy Tax. It Will Not Make A Substantive Impact on the Environment. It Will Hurt Senior Citizens, the Poor, and the Unemployed the Worst. It Will Cost American Families Over $3,000 a Year. What Would Global Warming Regulations Do? Lieberman-Warner: Last year, the Senate rejected cap-and-tax legislation that would have capped CO2 emissions 70% below 2005 levels by 2050. A Heritage analysis of that bill found startling economic impacts. Markey-Waxman: The cap-and-trade tax proposed by Rep. Henry Waxman (D-CA) and Rep. Edward Markey (D-MA) would double down on last year’s failed scheme, bringing in trillions of dollars in taxes, making it one of the largest sources of revenue for the federal government. Six Hundred Hurricanes Couldn’t Cause This Much Economic Damage: In the first 20 years, Lieberman-Warner would have destroyed nearly 3 million jobs, caused some manufacturing sectors to cut jobs by 50% and generated up to $300 billion per year in government revenue while reducing income by nearly $5 trillion. For comparison, this is equal to the economic damage done by over 600 hurricanes…and the Markey-Waxman bill is worse. Green Jobs Are a Myth; Real Job Losses Are Not: For every “green job” created, others are wiped out. Job losses resulting from the Lieberman-Warner cap and trade would have surpassed 900,000 in some years. Keep in mind that this is net of any “green jobs” created. New Version, More Expensive: Markey-Waxman will be much more costly than the bill rejected by the U.S. Senate last year. Such an expensive tax on all Americans is bad under normal circumstances and worse during a recession. The Ultimate Outsourcing: India and China have repeatedly said they would not match U.S. environmental goals in order to protect their economies. Cap and trade will merely move manufacturing jobs to China and India. By 2100: By EPA calculations, the Lieberman-Warner bill could at best result in a global drop in temperature of only 0.1 to 0.2 degrees Celsius by the year 2100. A Carbon Tax Would Be No Different: Alternative carbon taxes share the central flaw of any other carbon reduction scheme. Similar to cap and trade, a carbon tax would cause significant economic damage and would do very little to reduce global temperatures. An Alternative That Supports American Taxpayers: Instead of appeasing a radical environmental agenda, President Obama should give us access to all energy sources, including domestic oil production, nuclear energy, coal, and new renewable fuels. Instead of new taxes, the President should aim to lower gas and electricity prices. When government impediments are lifted, America’s energy entrepreneurs can develop innovative and market-driven solutions to our energy needs. I would like an explanation from all 8 of these people how they justify voting for this and heaping this mess on the American people during a recession. Now it goes to the senate. CALL YOUR SENATORS! Call your senator so they know that this is still a country that is governed "[...]of the people, by the people, for the people [...] and that you do not wish to see a bill passed into legislation that will increase your energy costs and cause job loss. Don’t let Obama and proponents of the legislation take away our freedoms, our money and our jobs. And don't forget to contact your representative who voted no on this atrocity and thank him/her for being your voice. I want to thank Blaine Luetkmeyer for representing me with his no vote.